The National Testing Agency has released the admit cards for the JEE Main April Exam on their official website. The NTA is asking candidates of the exam to download the admit cards at www.jeemain.nic.in. The hall ticket will consist of all the information about the exam dates, shift timings, and centers. The official notice released by the National Testing Agency said that the JEE Main April Exam 2019 dates have been changed as the Lock Sabha Elections are approaching near. 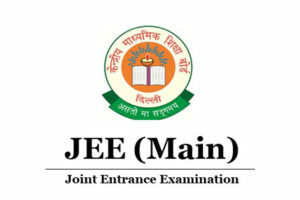 The JEE Main Exams are going to be done in an online computer based test. Candidates are asked to only bring their admit cards that are issued by the National Testing Agency. For those candidates who are going to appear in Paper 2, they can bring their pencil cases with them. The first shift will start at 9:30 AM and will end at 12:30 PM. The second shift will start at 2:30 PM and will end at 5:30 PM. The first step is to go to their official website which is www.jeemain.nic.in. The second step is to login in the website by using your application number, security pin, and password. The third step is to wait until your JEE Main April 2019 Admit Card will show on your screen. The fourth step is to download the Admit Card and print it out. Candidates are asked to double check their name spellings in their JEE admit cards and other details on it. If there are any mistakes in the admit cards, candidates are asked to call and inform the National Testing Agency.